Anyone who has delivered an unpopular message or unwelcome news knows how it feels to be the messenger—to bear the brunt of the recipient’s disbelief, anger, or outrage. Today’s texts present accounts of two men who believed the message and died for it. Prophet Zechariah confronted King Joash for forsaking the Lord’s commandments. Deacon Stephen reminded Israel’s leaders how, after rejecting Moses and the commandments and the earlier prophets, they had even rejected the Messiah. Both men were stoned to death, making them the first Old Testament prophet and first New Testament witness to be martyred. Their last words, however, were radically different. Zechariah called on the Lord to “see and avenge” his death. 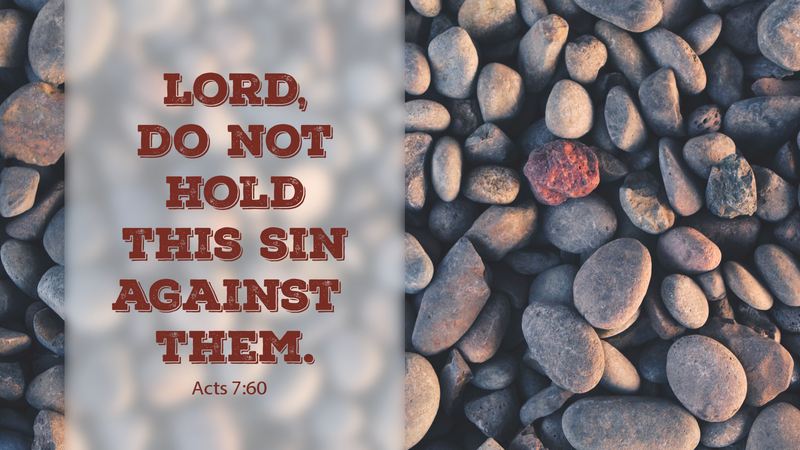 Stephen prayed that the Lord would not hold his murderers’ actions against them. Today, Jesus’ baptized disciples still carry His message to indifferent, even hostile audiences. Some disciples will lose homes and families, friends, and even their lives as a result. May we bear and share Christ’s Law and Gospel with grace, good courage, and, yes, prayers for the forgiveness and conversion of those who harm, even kill the messengers. Prayer: May we pray with Christ on the cross: Father, forgive them, for they know not what they do. Amen. Today’s devotion was written by the Rev. Dr. Cathi Braasch, one of many disciples at Trinity Lutheran Church in Gothenburg, NE.